Located in Bergamo (Citta Bassa), Bed&Breakfast La Maison is within a 10-minute drive of Carrara Academy Gallery and Stadio Atleti Azzurri d'Italia. When you stay at Podere Romina in Cortona, you'll be 5 minutes by foot from Val di Chiana. Free self parking is available onsite. With a stay at Residences del Teatro in Cagliari, you'll be within a 10-minute drive of National Archaeological Museum and Citadel of Museums. Self parking (subject to charges) is available onsite. 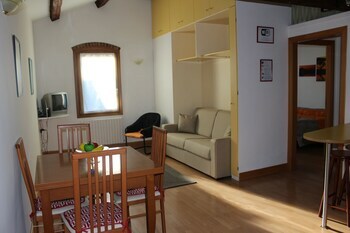 Located in Venice (San Polo), Hotel Dalla Mora is within a 10-minute walk of St. Mary of the Friars and Ca' Rezzonico. The front desk is staffed during limited hours. When you stay at this villa in Santo Stefano di Magra, you'll be 12 minutes by car from Montemarcello Regional Park. Free self parking is available onsite.